Filipinos in Berlin and their friends are welcome to participate! 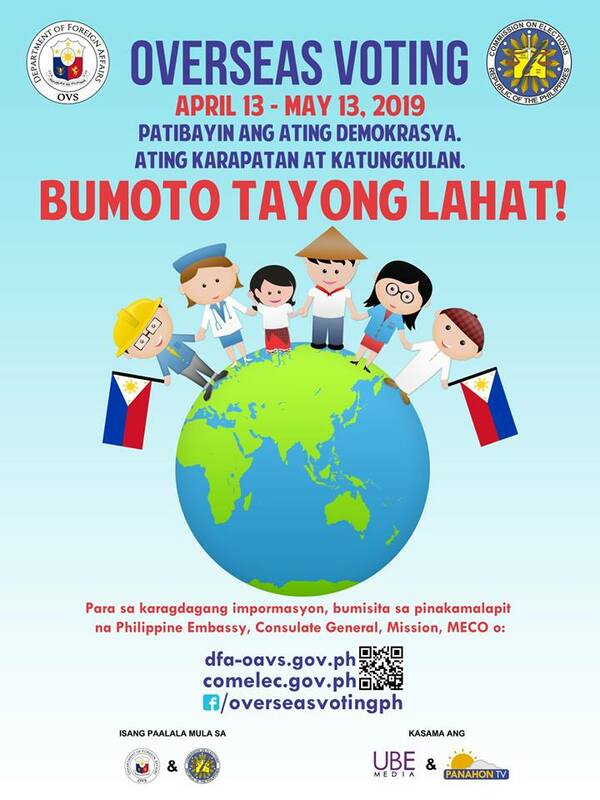 Overseas voting will be on April 13 – May 13, 2019. Please vote wisely! Don’t forget to send your ballots to the Philippine Embassy on time. More information at the embassy’s website here. Check out the embassy’s Facebook page here.